Hi Tamara! Fantastic gallery! 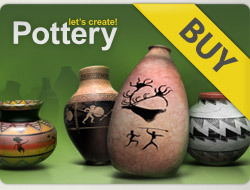 12 x 5***** for your newest lovely pots! Hello, Tamara. 5 Stars for your 24 pots! I enjoyed visiting your gallery. It is so creative. See my pages when you can and rate the pots you liked. I will be glad. Wish you all the best.